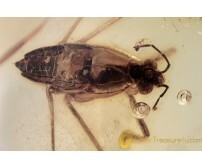 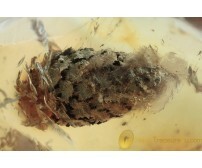 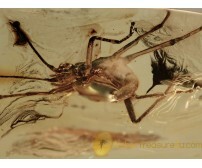 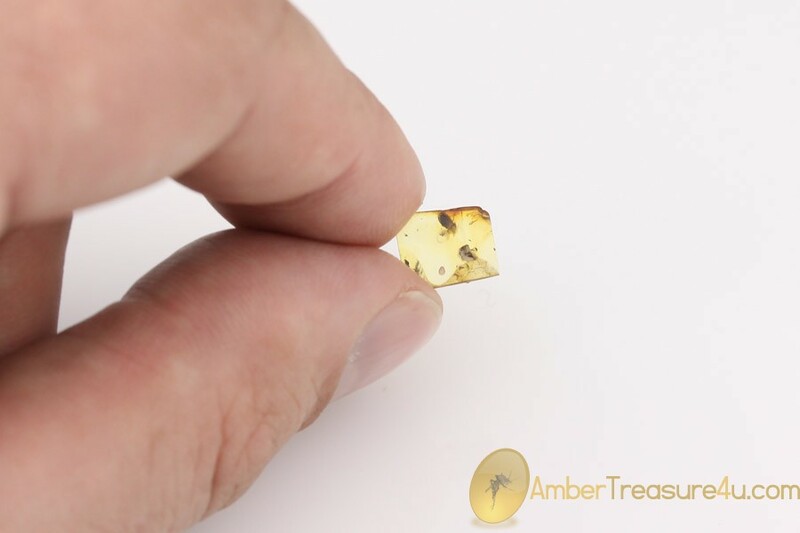 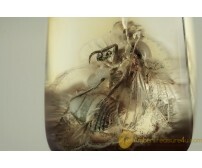 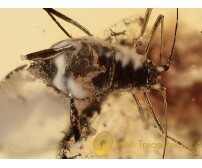 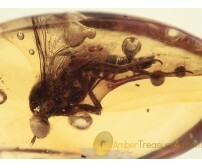 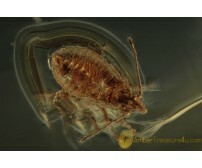 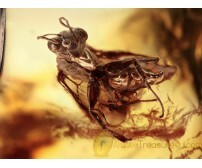 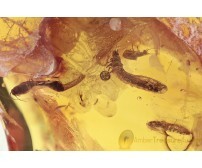 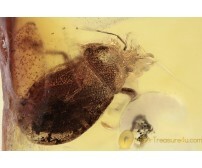 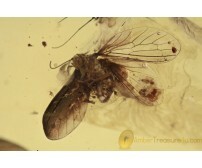 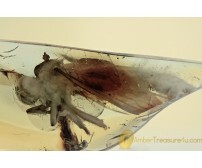 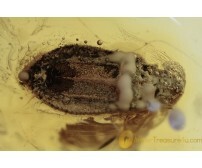 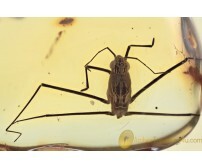 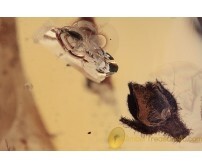 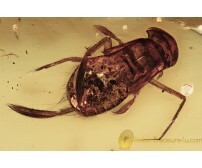 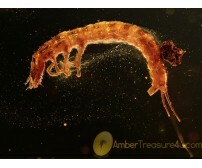 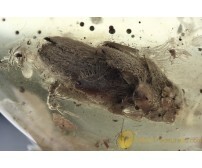 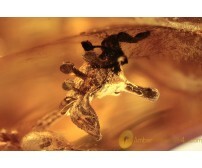 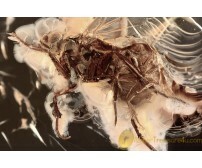 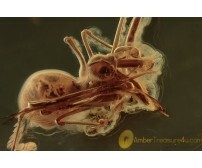 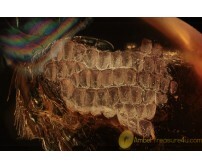 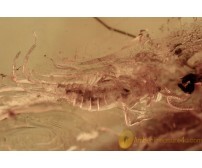 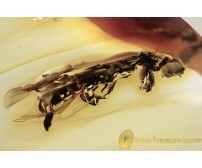 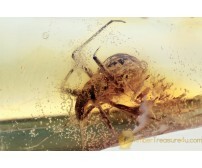 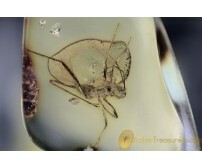 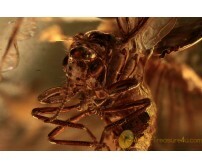 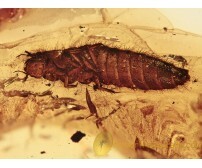 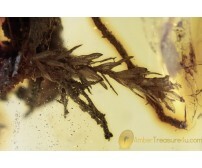 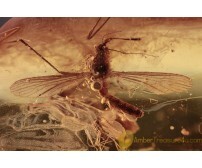 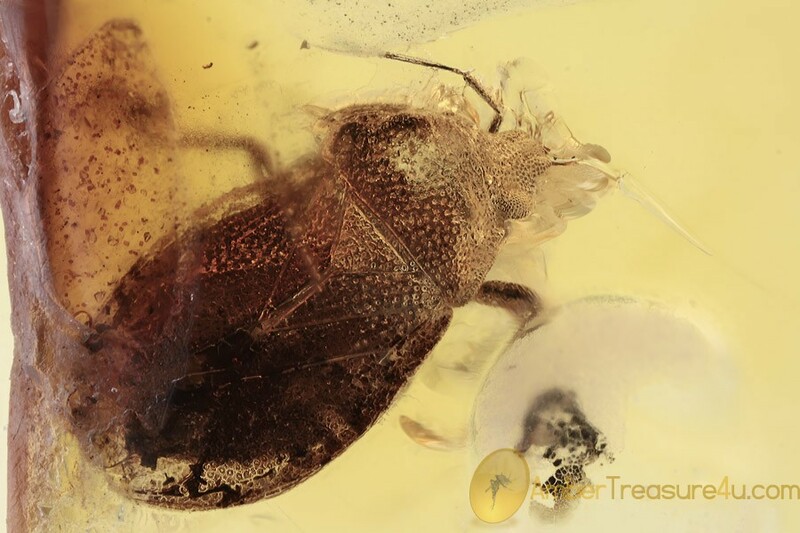 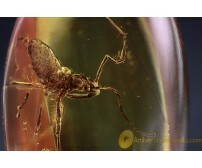 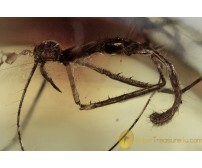 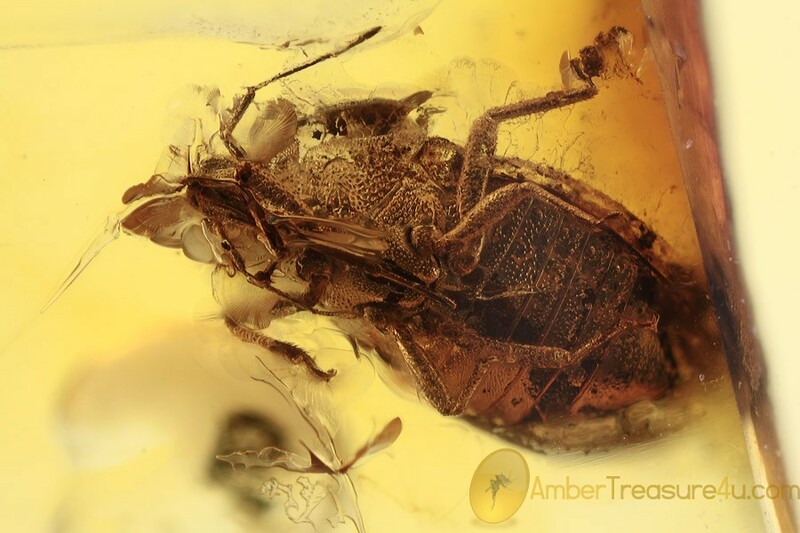 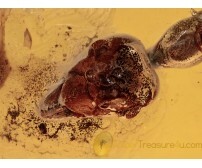 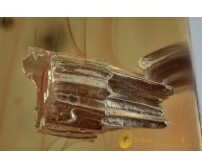 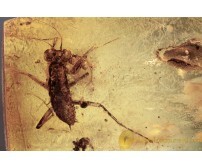 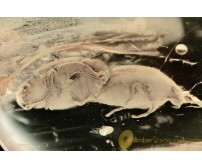 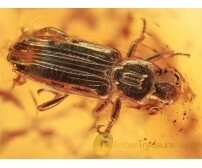 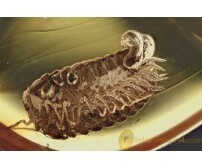 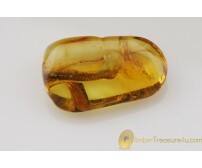 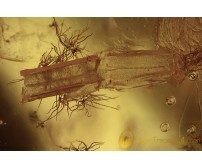 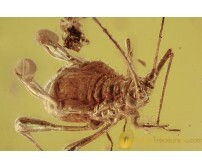 Very small Baltic amber piece with fossil insect - very rare probably royal palm bug Thaumastocoridae. 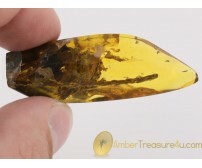 It weighs 0.2 grams. 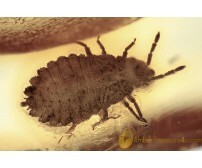 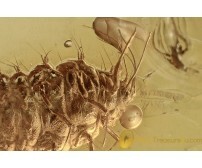 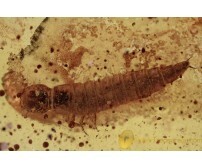 Measurements of stone 9x7x2mm, length of insect body and head ~ 2mm.